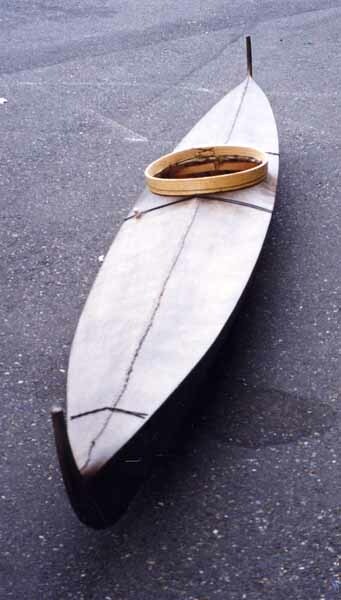 This replica was based on a drawing in Eugene Arima's "Inuit Kayaks in Canada" (1987:194, fig.5). The length is 12'9-3/8", with a beam of 19". The depth to sheer is 10". Despite its small size, it has a lot of room inside-- it is relatively deep, and has a slightly peaked deck. 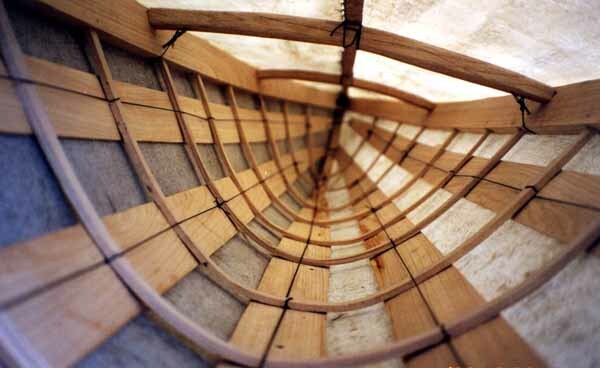 Its cross-section is akin to a parabolic curve-- a distinctly tippy hull-shape. 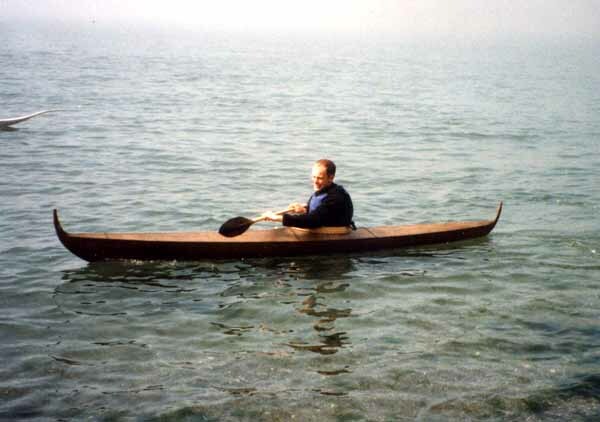 This kayak was a challenge to get used to, but well worth it-- its quite an enjoyable kayak to use. My replica weighs about 18#.